Q&A with Legs on the Temperley London Spring 2010 Zoetrope. Tell me how Legs hooked up with Temperley, what this project is & how it came to be. Temperley was looking for a new way, using film, to exhibit their circus inspired line for fashion week. They found us through their relationship with MILK STUDIOS (Legs is part of The Milk Group) and asked us to pitch on alternative ways to show a collection involving a film installation instead of the traditional runway show. 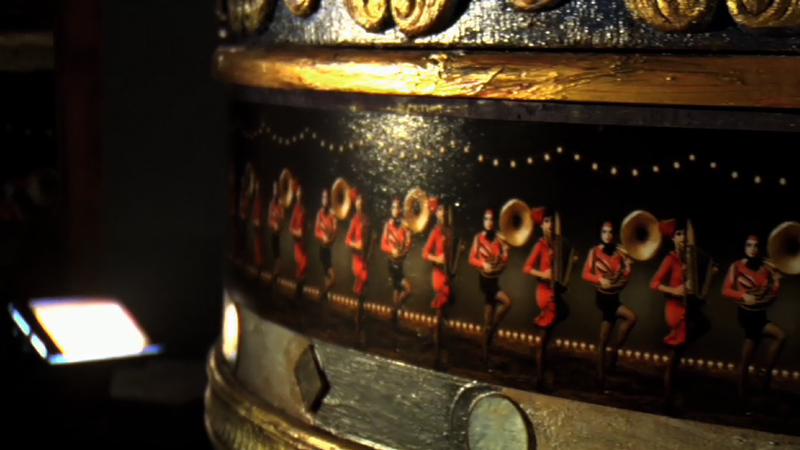 From there, we developed the zoetrope idea and Alice Temperley fell in love with it. It's been fun to see the concept through several mediums - there’s a physical traveling zoetrope installation, a portrait film featuring the zoetrope and animated film loops, the stills pulled from the Red Camera shoot are the ad campaign, and there’s also an interactive zoetrope online at the Temperley website. 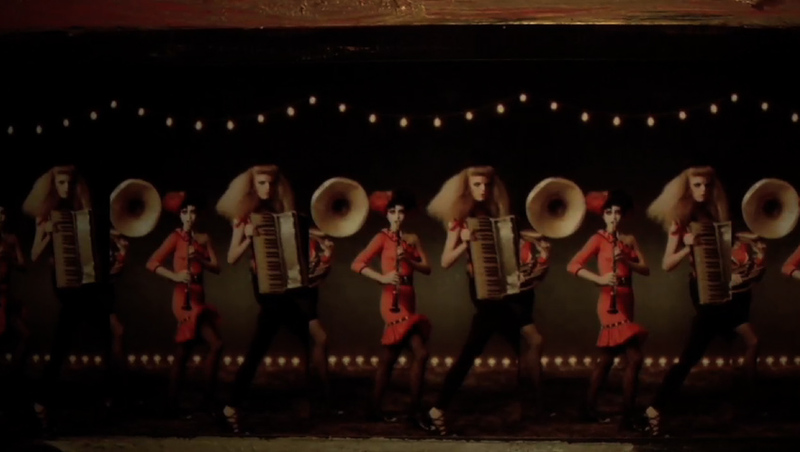 Why a zoetrope? Whose idea was it. It was Greg Brunkalla (Legs) initial idea and then we all collaborated on developing the style, direction and design of the piece. 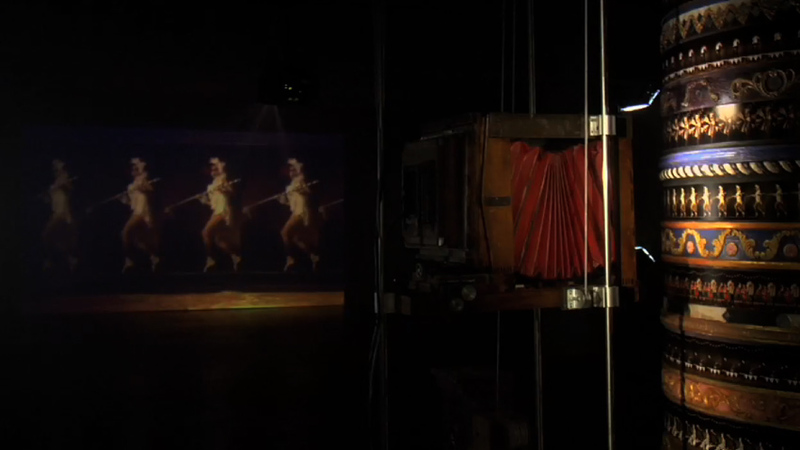 The concept came out of thinking about the earliest forms of filmmaking, which worked perfectly with the circus and vaudevillian imagery that inspired the Temperley line. We built a 12-foot-tall carousel inspired sculptural structure that combined rudimentary film loops with modern projection technology to showcase ten circus acts while at the same time displaying 15 different Temperley looks. 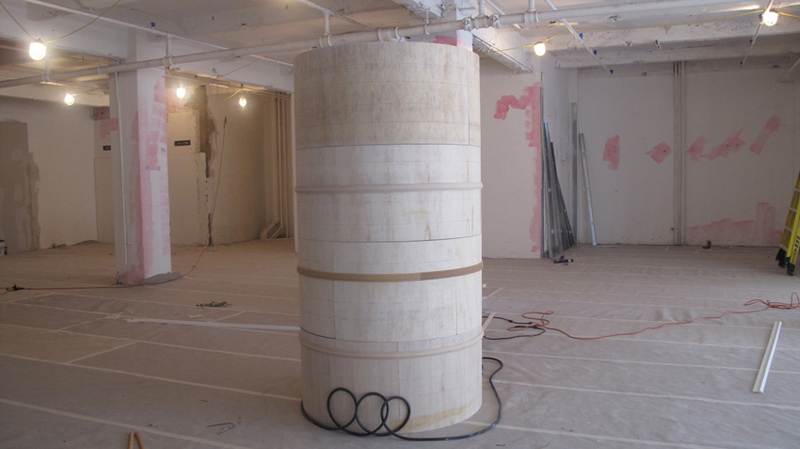 Tell me about how you built the zoetrope. 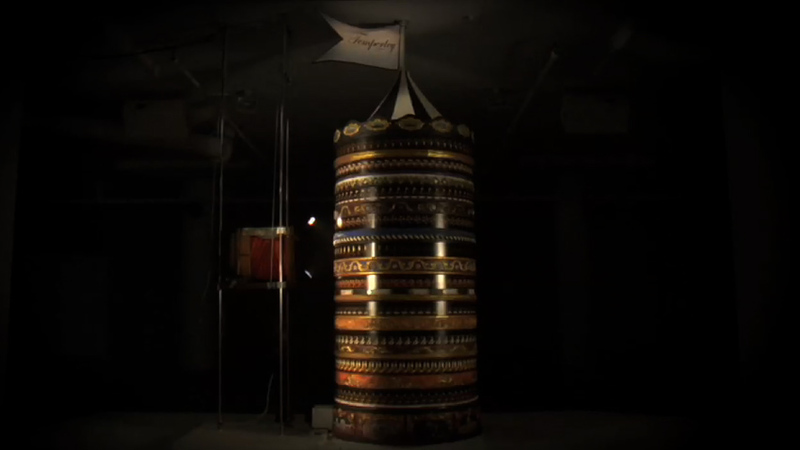 The zoetrope took about a month to build. 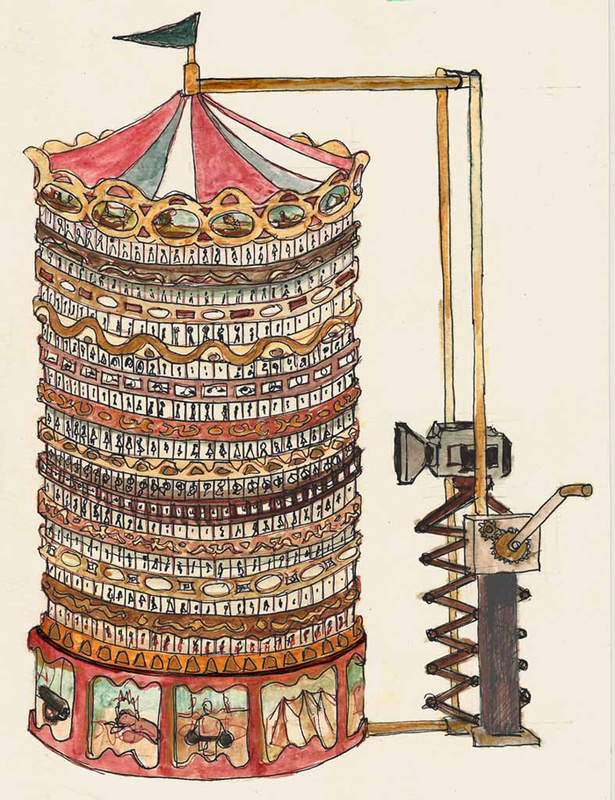 We had our crack team of artists, engineers and builders, led by Jeff Everett and Irfan Akdag, designing and constructing this huge 10-tiered machine that moves around and around like a tall, ornate carousel. Jeff’s team converted our back office in to a massive wood shop where the cylindrical layers were cut and made to rotate. 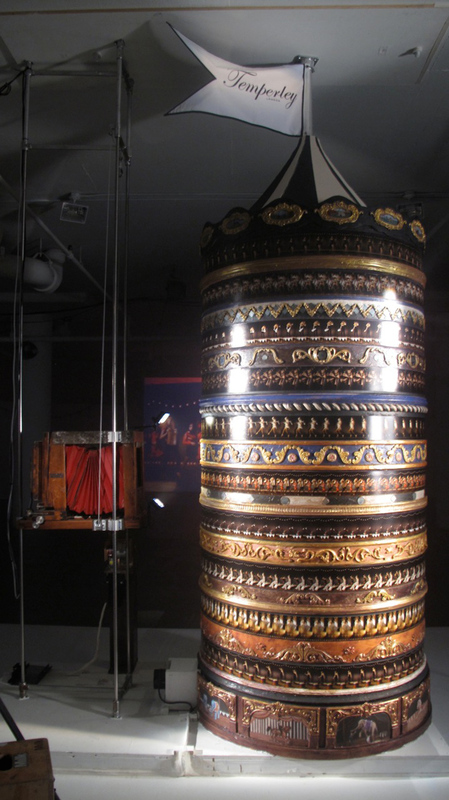 The process was challenging because Jeff had to design the zoetrope to be able to be taken apart in pieces and reconstructed again to perfection in order to be shipped and presented in London for London fashion week directly after the New York fashion week presentation was finished. Georgie Greville and Geremy Jasper (Legs) teamed up to shoot the loops in two days at MILK studios using two different circus tent inspired backdrops and lots of props and practical lighting accessories to add to the theatrical nature of the scenes. Afterwards, we made 5 second stop motion sequences out of 60 unique frames from each scene with the goal of making each loop as smooth yet theatrical as possible. 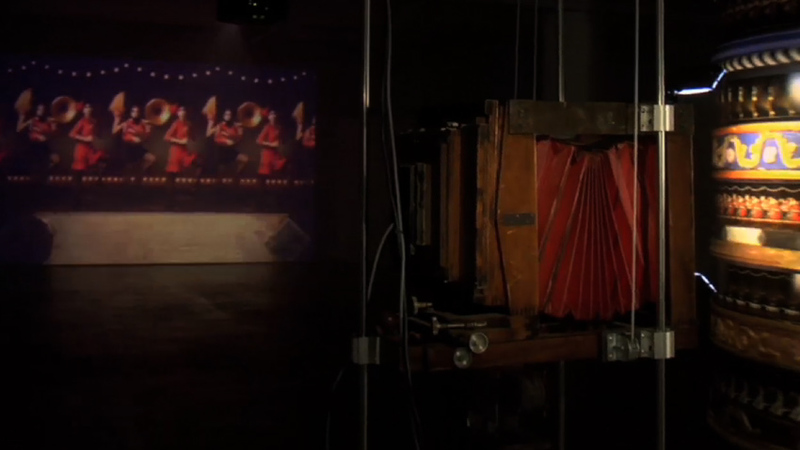 We housed a video camera in an old fashioned medium format camera box and attached it to a remote-controlled pulley system that moved up and down the Zoetrope, filming each layer one at a time. We were confident that the quality of the image from HVX camera to projection would lend a vintage film feel to the image and we were really pleased with the results. 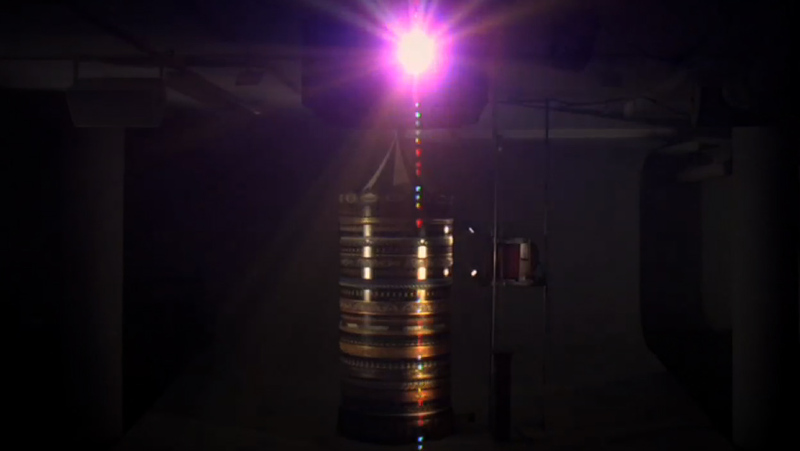 To capture the animated loops we shot at 12 fps with the shutter at 1/1000. 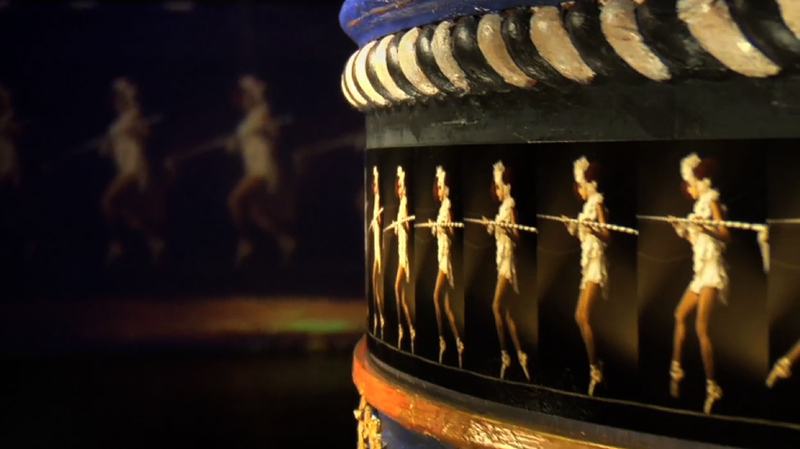 The natural movement of the zoetrope also added an authentic feel to the films. Included is Greg’s initial drawing of how we envisioned the zoetrope to work, to Jeff Everett’s Production Design watercolor and a picture of an original zoetrope, which only contains one loop. 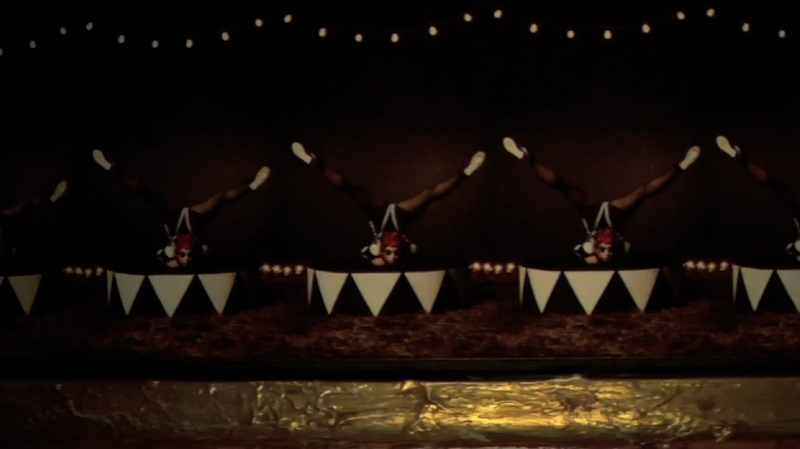 The circus themed images that loops were inspired by Fellini, Muybridge and early American Gypsy Circuses. What was the process like working on this project? We have a big amazing family here. Legs is part of The Milk Group, and we shot everything here at MILK Studios, cast across the hall with Edward Kim at House Casting, MILK DIGITAL created all the prints, and we built the physical zoetrope in our studio space here at Legs. Tell me about the event & the unveiling of the zoetrope. The event was held at MILK studios. 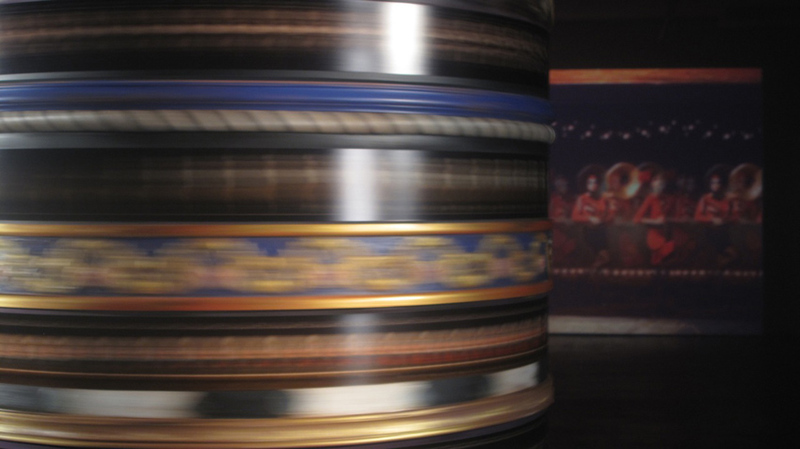 The zoetrope was the centerpiece of the show, sitting in the middle of a white cyc with its projection against the opposite wall. Mannequins displaying the collection posed on either side of the projection wall. People would see the projection first and then usually realize that it was coming out of the zoetrope and think it was infinitely more clever. 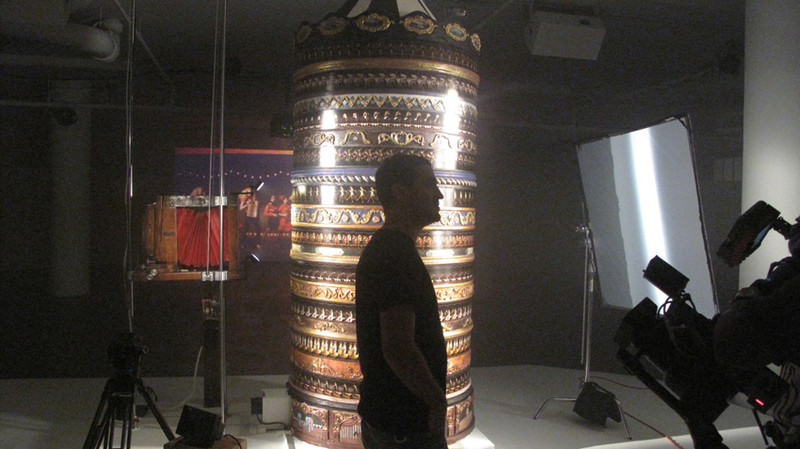 People loved to be able to come right up to the zoetrope, check it out, and even work it themselves. We loved working with Alice Temperley and her team on this project. Everyone involved was very creative and inspired. Also this is one of three fashion presentations we created this fall and we hope to do a lot more on the coming seasons.